We need to be intentional in sharing our faith with our children, so here is a list of 26 different ways to do just that. Try using some of these with your family this summer. A Act out Adventures: Give your child paper plates, yarn, construction paper and other craft items to design costumes and then act out adventures from the Bible with him. Get the whole family involved for added fun. B Bible Bulletin Board: Place a bulletin board in a prominent place in your house and then hang Sunday School papers and crafts on it. Use the bulletin board as a springboard for discussion throughout the week. C Car Conversations: Turn the radio off and carry on a conversation while commuting with your kids. This works especially well for teens, who might open up to you more in this setting than any other time. D Design Dates: Take your children out for one-on-one time. Treat them like royalty and use that time as an opportunity to talk about your faith and values. E Encouraging Episodes: Look for every opportunity you can to encourage your children in their faith. Encourage them on a daily basis. F Forge Family Friendships: Help your kids learn to be friends with one another, with extended family members, and with you. Create bonds that will last a lifetime. G Get a Globe: Spin the globe and see where your finger lands. Then spend time praying for that country. H Hallelujah Hangings: Make homemade hangings for your house that tell of God’s grace! 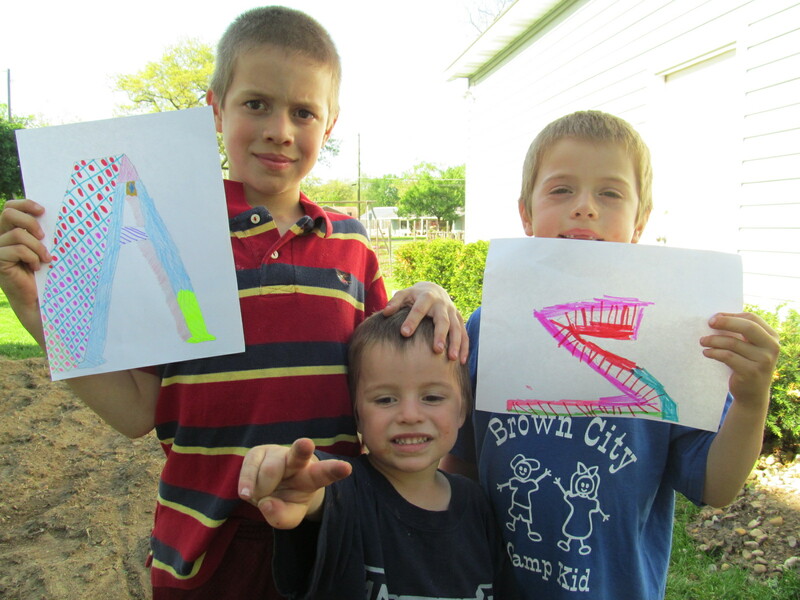 Help your child design posters and then hang them around the house for awhile. Use them as another converstation starter about your faith. I Intercessory Ideas: Invent interesting ways to intercede for others. For example, save all your Christmas cards and put them in a basket. Pull one out every day of the next year and pray for the family that sent it to you. Be creative and see what you can come up with together! J Jesus Jars: Place a jar in your kitchen and drop all your loose change in it. Use the money that ends up in that jar for an offering at church or send it to a missions organization. K Kitchen Kreations: Make snacks together that represent different stories from the Bible. Discuss the Bible story as you are creating the snack and eating it together. L Listen and Learn: Listen — REALLY LISTEN- — to what your child is saying and, in that way, you might learn something about him and where he is in his faith. Teach him to listen and learn from you (and others in his life) as well. N Noble Notes: Leave notes for your children that share how you feel about them, encourage them in their faith, or that are just meant to make them smile. Leave them on their pillows, in their jacket pockets, and anywhere else you desire. O Organize an “Other’s First” Observance: Challenge your child to put others first during the entire day. Look for creative ways to serve one another. P Plan a Praise Party: Get out your party hats and plan a party based on celebrating God! This could be a ton of fun — especially in the middle of summer when boredom starts to set in! Q Quick Quizzes: Make a game out of quizzing one another over Sunday School lessons, church sermons, Bible readings, or anything else faith related. Let it go both ways — your kids will enjoy trying to stump you, too! R Routinely Read and Recite: Help your child get in the habit of reading Scripture on a daily basis. 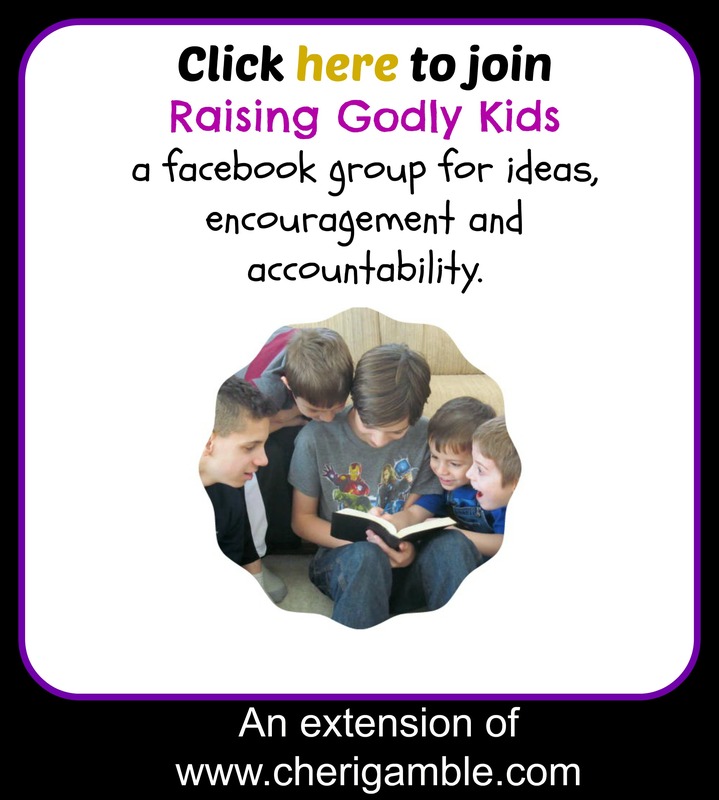 (For ideas on how to do this, see my Bible Summer Reading Plan for Children). Memorize Scripture together and randomly recite it. S Sponsor Someone: Choose an organization and sponsor a child. Find a child close to your children’s ages and help your children learn to sacrifice to help someone else. T Tell your Testimony: Take advantage of teachable moments to share your personal testimony with your children. This doesn’t have to be limited to your salvation testimony — God is still working on you today; share what He is doing in your life right now with your children as well. V Volunteer Victoriously: Volunteer as a family. You will make wonderful memories, teach your children about service, and help your children learn to share their faith in the process. W Worship Walks: Take walks around the neighborhood, in the park, at the beach . . . anywhere you are . . . and use them as a time to point out the Wonder of God’s creation to your children. X eXtraordinary eXperiences: Create experiences with your children that will last them a lifetime. Go on a mission trip together, attend a church camp together, or turn a family vacation into your own mini family camp. Y Yell Your “Yippees”: When God does something great in your life, shout it out! Make a joyful noise and teach your children to do the same! Z Zip through Zephaniah: Or any other lesser known book of the Bible! The important part here is to read the Bible together! So there you have it — 26 ways to share your faith with your children. Perhaps you can add to this list. Feel free to alliterate away with your incredible ideas in the comments coming below! Great list! Thanks for the encouragement to share our faith with our kiddos. I shared on twitter. Thank you so much! I pray that this list can be a springboard for people to realize that we can use every day moments (and some not so every day moments) to share our faith with our kids!